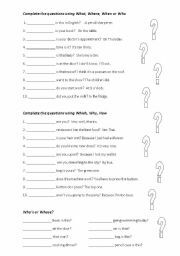 Exercises to practise using question words- Who, What, Where, When, Why, Which, How and Whose. 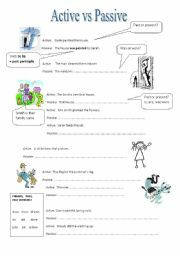 Good for revision and checking how well these words have been learned and remembered. 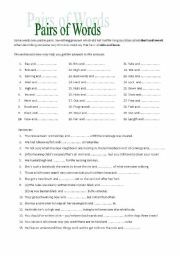 Answer key included.Fully editable. Using there is/are or there isn�t/aren�t. Contains lots of useful vocabulary to do with chickens. 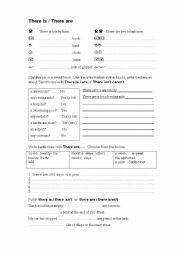 Worksheet includes answering questions such as �how long?� �how many?�, fill in the missing verb, using plurals. 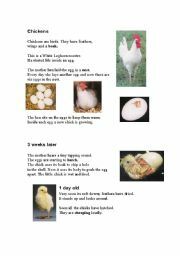 I prepared this sheet for an older adult learner who keeps chickens. In conversation and books, people often use words in pairs. 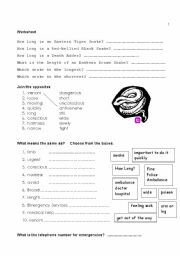 This worksheet lists some that are often used in English. 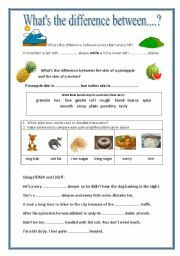 The sentences help give an example of a context where these pairs are used. Answer Key included. 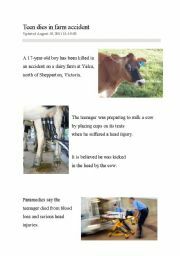 Adapted news report with comprehension questions. Suitable for low intermediate students. Includes answers. Fully editable. 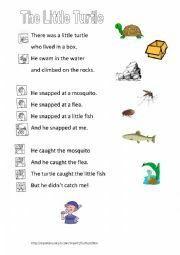 A finger rhyme with actions followed by an easy worksheet which includes writing and counting exercises. Suitable for special needs students.